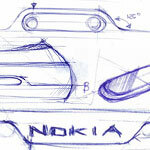 For the past few weeks I’ve been keeping track of developments in the Nokia Design By Community project. There’s been quite a lot of voting, on everything from form factor to operating system to camera specifications. All the big decisions have been made, there remains one more area to vote on – the name. Already 148 possible names have been whittled down to 15. Voting is via the Nokia Conversations blog, and you have until Friday afternoon (European time). The Nokia Sense has a little bit of HTC nomenclature about it, while the Nokia V7 is Microsoft-esque. Which of these do you like? You can head on over the the Nokia Conversations Blog and vote within the constraints of the 15 listed above, or you might like to suggest your own – feel free to add your name in the comments section below.